I am often baffled by the hard Left in this country, yet I have never and will never understand the groundswell of support for David Hicks. Last week, Hicks, unsurprisingly, had his charge of providing material support for terrorism dropped. It was ruled that his guilty plea was made under duress and extreme extraordinary circumstances, and thus invalid. This I understand. Perhaps there was no hard evidence to pin on him, and it is fair that the original charge be dropped given the nature of the plea deal. It is also fair to argue that nobody should be tortured or incarcerated for five years without a trial. The rule of law and the right to a trial is one of the fundamental principles of Western Democracy, and in Hicks’ case there is little doubt that he did not benefit from this right. This too, is understandable. Although it should be noted that his world view saw Western values as evil. Yet worryingly, over the years supporters of Hicks have willingly overlooked the circumstances surrounding his capture and they are seemingly happy to forgive his allegiance to an ideology that’s anathema to human rights. There was Greens Leader, Christine Milne, bellowing that Hicks deserved an apology from the Australian government. 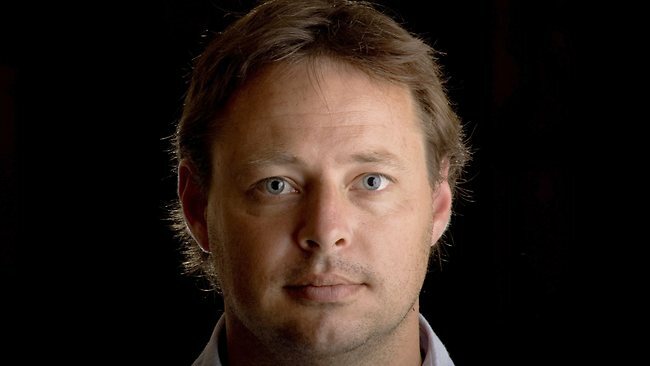 The Greens have curiously sympathised with Hicks for a long time, offering him unconditional empathy despite the fact that he allegedly fought with the Taliban, a regime marked for its misogyny and homophobia. Greens Senator, Sarah Hanson-Young, once gave us this on Twitter, elevating Hicks to the status of noble hero. Labor leader, Bill Shorten, while stopping short of pushing for an apology, also offered his sympathies to Hicks by declaring that an injustice had been done to him. The sympathy for this man from our parties of the Left is baffling, and offensive to our national character. – In another letter he boasted about meeting Osama bin-Laden and called him a “lovely brother”. – Was caught by the Northern Alliance in 2001, a group fighting against the Taliban in Afghanistan. – Studied ‘Wahabism’ – a branch of Islamist ideology that is fundamental, ultraconservative and austere. Hicks is no human rights champion. He is no saint. Yet that didn’t stop supporters giving him a standing ovation when he released his book in 2010. That hasn’t stopped thousands of people elevating the man to the status of brave hero in the face of adversity. How curious that a man who clearly pledged his youth to violence and war is so loved by pacifists and peace activists championing human rights. This man allegedly pledged his loyalty to groups marked with the brush of misogyny, homophobia, and violence against ‘unbelievers.’ It is honestly mind boggling that Hicks’ loudest supporters willingly forget what this man stood for. They spend their time raging against a man like Tony Abbott for making unfortunate gaffes, yet throw their weight behind a man who fought for the antithesis of equality and liberty. The only conclusion I can draw is that Hicks draws support from such people because he is the enemy of the enemy. He actively opposed the United States and he questioned the West. He echoed some of their most repeated sentiments, and tribal loyalty trumps everything else. David Hicks deserves nothing from us. He doesn’t deserve our sympathy, nor does he deserve the support of thousands of fools in this country. And he most certainly does not deserve compensation or an apology. It’s sad how you can judge someone like this without knowing the context for those letters, or why they were written. You clearly have never read his book- and have based the above from politically motivated and poorly researched newspaper articles. On the one hand you are saying that torture is unacceptable, yet you are implying that he deserved it in some way because of the letters and what you say are his views. The reality however, as Hicks wrote in his book, is that the views espoused in the above article were not his own, but rather those of the people around him and the newspaper that he was copying. At no time did Hicks defend terrorism, the killing of civilians or al-Qaeda in his letters. There is not one mention of the word al-Qaeda in his letters home- the organisation he was accused of being a member and supporting. The US government admitted that he had never fought against anyone, let alone fired a shot outside his basic military (not terrorism) training. He was held as a political scapegoat for a cowardly Howard government that knew they could score some political points by making out that Hicks was somehow dangerous at the behest of the lying Bush administration. David has never hurt anyone. Nor does he hold any of the views you so diligently collected and printed above from excerpts of News Ltd articles. I certainly hope the judgement you put on him will never be metered out to you if you are ever in a situation where you aren’t able to publicly defend yourself, where a powerful government and politicians are controlling what is said about you, and where you are being tortured for 5 1/2 years. Why is this pro Liberal hack writer going after Hicks, when Hicks was proven innocent? Is it because the gov doesn’t want to give him compensation for his harrowing ordeal? Dale Hughes, this article is defamatory. It is slander. It is a disgrace, another bit of political trash disguised as an opinion piece. How much did the Glibs pay you Dale? And attempting to belittle any David Hicks or Human Rights sympathisers. Pathetic. Anyone who defends Abbott makes my eyes glaze over and my last meal rise into my throat! You think we don’t like him for his stupid three word slogans? No, that’s just amusing. We don’t like him because he is OWNED by corporations. That’s why we live in the sleazy shadow of the Hep-A infected TPP, Big Oil, Dirty Coal, and News Ltd. I wonder if the ‘Thought Hub’ is a social media extension of the Liberal Think Tank, where all those whizz bang ideas (about how to give more kickbacks to corps whilst undermining basic human rights) come from? The Trendy Thought Hub, spawning misinformation that will do the thinking for us, just the way the 1% like it. Well this is certainly an interesting comment. I still wonder why people so passionately defend Hicks as some sort of hero. Even if innocent, I would still argue that his actions in the Middle East should be scrutinised. Surely people who are usually cynical of all things political (ie. Believing big corporations own prime ministers) would question Hicks’ claims of complete innocence. For the record, I was not paid for the Libs and this blog has no affiliation to any think tank. All views expressed here are my own and whoever else wishes to post. As advertised on the site, we’re happy to take contributions from people of all political persuasions. Not one of these comments argue that David Hicks is a hero. After 5 and a half years in Gitmo the US still had to make something up to charge him with and the fact that he maintained his innocence by pleading an Alford plea is missing from your defamatory & inaccurate article. Hicks’ actions have been scrutinised for years, and he was still found innocent- the US government acknowledged he didn’t harm a single person. Yet, the political involvement of the Howard government in securing his unfair and illegitimate conviction has been proven, and despite this, you choose to focus your simplistic & uninformed understanding of the case on Hicks. Where is your scrutiny of the crimes committed against him? The crimes against humanity perpetrated against him are far worse than anything he ever did. Beatings, sleep deprivation, forced injections, sensory deprivation & bombardment, having guns pointed at his head during interrogation- is this acceptable to you? Is the fact the Howard government sold out an Australian citizen to placate the Americans not worth mentioning? How about the guards who have come forward saying David Hicks is a good bloke who deserves an apology? Perhaps it doesn’t suit your agenda? I recommend you research this case more comprehensively to ensure you have an accurate understanding of the case.